Photos by Tom Harley, Theo Dann, William Miller. 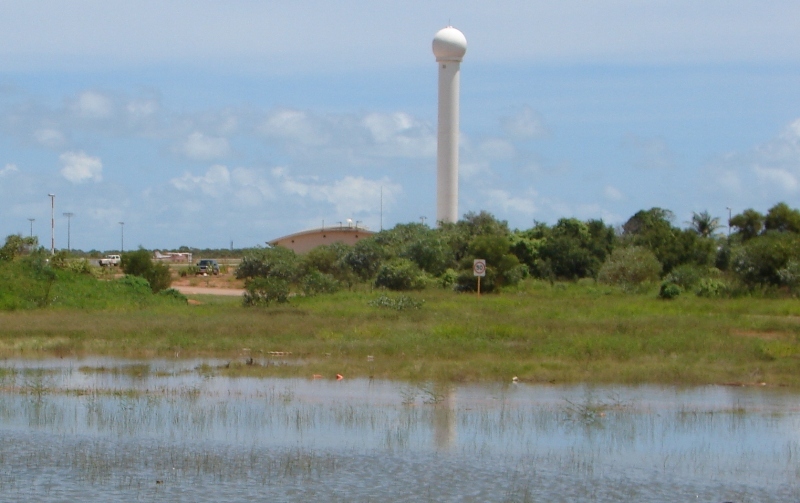 If sea level rises by 0.5M, here in Broome, Western Australia, these buildings, mostly new go underwater at high spring tides, their developers are obviously sceptics. Buidings are: Coles Shopping Centre, Broome Visitor Centre, Broome Airport,Helicopters Australia, McDonalds, and last but not least, Bureau of Meteorology. This entry was posted in Broome/Kimberley, Climate, comedy. Bookmark the permalink.